A lot of the projects I take on are just natural extensions of the things I immerse myself in (i.e obsess about). Even before being contacted by a publisher I’d been considering a fractal coloring book project for a little while. I had a lot of the programs I’d need, and 1000’s of images I’d generated in producing my previous two fractal books and subsequent posts. All I would need to do is select the best of them, maybe write a good intro, and I’d have a quality book. I think the only way we take on big projects is by deluding ourselves into thinking they’re not big projects, then plowing forward full steam ahead. For a start, fractals that are good to color have a very different set of criterion from most of the fractals I’d been creating up to this point. You want something intricate but not so detailed that you can’t color it. You want some kind of pattern, but nothing too regular. You want something very open to interpretation, but with some common points of reference to give you guidance. You want a good variety of images, while providing people enough of what they’ll like. You need to cater to different difficulty levels, and because I like to teach about fractals as well, you need to use different generation techniques. That’s a lot to think about when you’re trying to make 25 images. Creating fractals for this book fell into one of a few different modes. 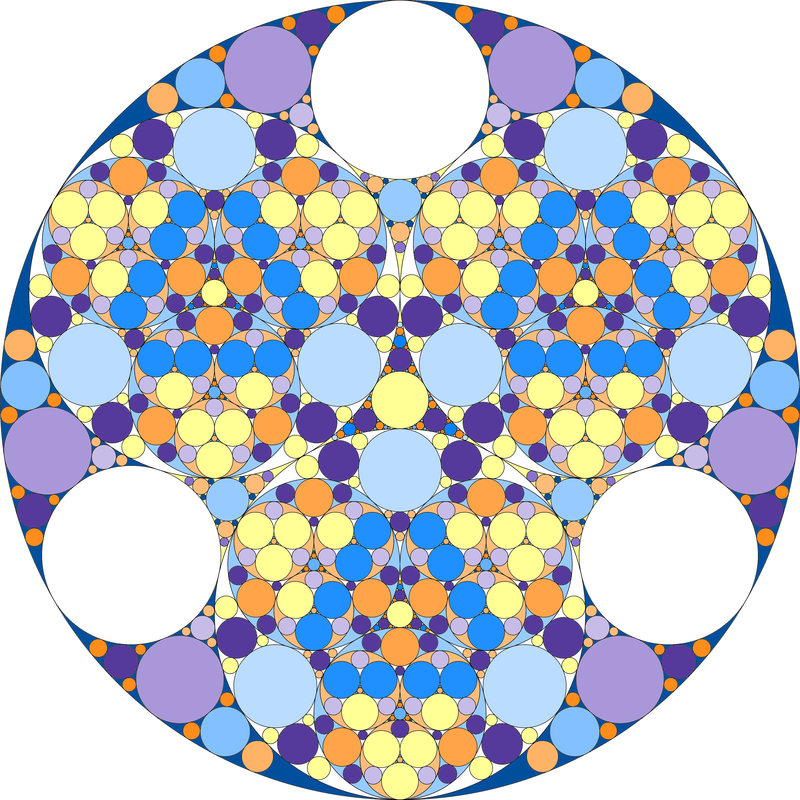 There were a few, including the dragon curve and the Apollonian Recursive Gasket (see below), that were “classic” fractal designs that I felt just had to be in a book like this (though for the life of me I couldn’t get a Mandelbrot Set image I was happy with, maybe next book). In the case of the gasket, my insistence on including it might have had a little to do with spending 8 hours trying to write the code that would correctly generate the image (including learning a new way to think about circles, more on that some other time). Other designs were created by looking at things around me, a pattern on a quilt, a set of kitchen shelves, and playing around with some L-Systems interpretations of those objects until I got something I liked. Or other times I would draw out a small axiom on paper, sketch out a potential replacement rule, and just see what happened. The third method involved perusing the thousands of Julia and L-System pictures I’d previously generated for my two fractal books and for posts on this site (this is where my new $50 kindle came in handy). The Julia images in particular took a lot of work, as the generation time to get an image with a good drawing edge is pretty long (2-8 hours on my quad-core laptop). L-Systems by comparison usually take at most only a few minutes, meaning you can experiment a lot more with tiny changes to see what the new result might be. This is probably why 19-20 of the images in the final text are variations on L-Systems and Turtle graphics. Overall I produced well over a hundred images, culled from potential lists in the 1000’s. By comparison the selection process from those 100 was pretty simple: print the image out, run it by my wife to see if it’s a good candidate, and try not to make too many agonized screams when an image that took many hours to generate is rejected. Actually, my wife had a lot of good suggestions for potential ideas, or questions about tweaks I could do to make an image better. The initial arrangement of the final images was done on my basement office floor, with one of us playing goalie to keep the dogs from walking all over the paper. Some things are just easier when you can see them out in front of you. We marked each image with a crayon indicating the rough level of difficulty, and moved sheets around until we got an arrangement we liked. And this was all before I’d written a word. Just to be clear, this was all great fun for me. I’ve seen other examples of coloring books where people slap together a bunch of stock images, or throw a bunch of their own previous work in without a lot of thought as to whether it would be fun to color. I didn’t want to make a book like that. I always like to create something new. Sure, there were times when I’d create 15 images and only get one good one, but that’s pretty much the experience with every creative endeavor. And there were plenty of “rejected” images that I had a new idea about, and made something even better. This applies to just about any kind of writing. Writing something you later cut is never wasted effort. Everything is part of the process of making the final product, and even the things you look at and go “what was I thinking” had a part in shaping the final whole. And into making you a better writer or artist. My new book, Adult Coloring Book: Fractals is available now on Amazon. Published by Green Frog Publishing. You can see some of the fractals from the book, and color art by my wife (“the little red-haired girl”) on my new website bentrubefractals.com. My latest book, Adult Coloring Book: Fractals, is available now on Amazon! I’m excited to publishing this book with Green Frog Publishing, a small Indie Publisher based in Vermont. This book is actually the second in a series of coloring books, the first of which is a great set of hand-drawn images of the Adirondacks by Dave Campbell. This book has been a real collaborative effort, including the proofreading talents of one Mr. Brian Buckley, cover and website art by my wife, and editing by Cecilia Bizzoco. Green Frog’s been just great, providing a lot of personal attention and developmental feedback to make this a better book than anything I could have done alone. The Adult Coloring Book: Fractals is a collection of 25 fractal images for you to color and enjoy. Along the way you’ll learn the basics about fractals, and how some of the individual images were created. Most of this is all new material exclusive to this book (we’ll talk more later in the week about the production process). There’s also an extensive glossary with even more fractal explorations and resources (any glossary that includes a definition for the “Genesis Effect” is okay in my book). I think fractals are uniquely suited to adult coloring books in that they offer a lot of freedom for interpretation. How you color these images is entirely up to you. Just seeing some of the work my wife put together really made these fractals come alive for me. You can check out some of the images from this book on my new website BenTrubeFractals.com or buy the book from Amazon.com. Particularly check out the “Play with Fractals” tab for some of the unique L-Systems in this book. Q. Will your book keep me warm during these cold winter nights? A. If you buy the paperback version I suppose you could burn it for fuel. Though a better idea would be to read it under a warm blanket with a cup of hot chocolate. If you do decide to use it as kindling, you can get the Kindle version for only 0.99 through matchbook. Q. What’s this Surreality diet I keep hearing about? A. It would probably be false advertising to call an Irish Eggroll and something called a Gut-Buster a diet, but your tummy will be very happy. Q. So what’s it like to finally release the book? Is it … surreal? Q. Will I like this book if I’m not from Columbus or Ohio? A. Of course! Even if you’re from … that state up north. Q. No seriously, I’ve been reading your blog for four years, how do you say your name again? A. True-bee. On the other hand, if you buy the book, call me whatever you want. Q. Wait. The dog in the book is named Garfunkel, and you dedicated it to your dog Simon. I see what you did there. A. Was that a question? Q. What’s the best pizza on OSU Campus? A. Fly Pie. Don’t let the Adriatico’s people fool you. Or free pizza. Free pizza is the best. Q. What if I like this book? Will there be more? A. Already working on it. I promise there will be another Surreality book before another fractal book. Probably. A. Sleep. Then maybe beer. Thanks so much to everyone who’s been a part of this book! Surreality is coming out in five days! Just in time for a little cozy winter reading (if Columbus finally decides to pick a temperature and stick with it). 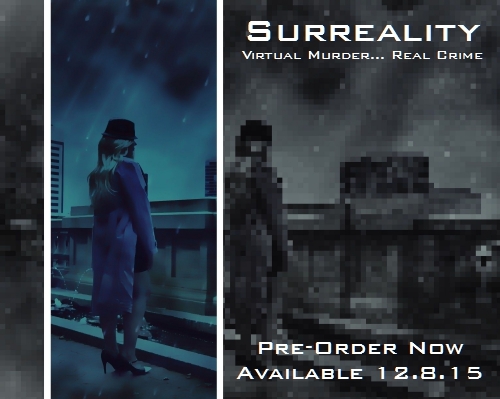 After a whirlwind couple of weeks of formatting, proofing and making various grumbling noises at my computer, I am pleased to announce Surreality will be released 12/8. The eBook version is available from just about every online retailer imaginable, including many I hadn’t heard of. (Might want to do a post on Blio at some point, since a certain Mr. Ray Kurzweil apparently has a connection to it). If you buy from Smashwords, you get the book in mobi (Kindle), ePub (Almost everything else) and PDF (Literally almost everything) DRM free. If you’ve followed the blog for a while, you know I’m a fan of actually owning my eBooks, and Smashwords is one of the best ways to do it. The print edition is being published on CreateSpace and is actually available now if you buy direct, and in a few more days on Amazon. I just got the proof a few days ago, and opening that box was pretty exciting. Thankfully, producing a print edition of a fiction book is actually pretty easy and affordable. I remember calculating for the fractal book that I would have to cut 100 pages and sell the book for $60 to break even (unless I went for black and white I guess). Thanks again to everyone who supported the Kindle Scout campaign and this book throughout its production. Your support helped with motivation to get this done in the final crunch weeks. I think a decent swath of us who consider ourselves independent authors are having a little debate with ourselves right about now. It’s the time of year when we all consider writing a novel, or more specifically, speed writing a novella. That’s right, it’s soon to be National Novel Writer’s Month (NaNoWriMo) where a bunch of people around the country take a stab at 50,000 words in 30 days. November is a busy month for me. Beyond just Thanksgiving, there’s my anniversary and my wife’s birthday in the mix. I’ve tried NaNo a couple of times, and finished it in earnest one year. My NaNo novel still sits on the “to be finished” pile. And there have been other times when I’ve certainly hit the word count, be it working on Dark Matter, or even with my technical writing at work. NaNo sometimes feels like something only a beginning author would do. Truthfully, I’ve found that, at least for myself, blasting out word count is not the way to good prose. I can easily produce 2500 words a day if I put my mind to it, but lately I’m much more happy to just write 1000 pretty good ones. My current writing moment is an interesting one. I’m in the middle of promoting a book for publication, preparing the print edition, and potentially writing the sequel. I’ve got several books that have been sitting on the “to be finished” or “to be revised” piles, and I’ve got a half finished serial for this blog I haven’t forgotten about. Certainly adding 50,000 words to one of those areas wouldn’t be a bad thing. But I also don’t want to distract myself too much from the goal of getting Surreality out there (that book is almost across the finish line). I’ve been contemplating some kind of a reading goal, or a review writing goal. Maybe 1-2 reviews a day (try to knock my NetGalley review percentage into respectable territory), but that seems to be getting a little away from the goals of the month. Ditto for working on fractal book sequel material (another book on the “to be written” pile involving programming and more pictures and research). I think the best way to think about this month is as a way to kickstart and focus on some aspect of your writing. For a lot of people, that’s rough drafts, revising, plotting or whatever. For me … well, I’m not really sure. The guy who actually started bugging me about this stuff is my good friend, Brian. And in that spirit, here’s what I’m thinking. Brian, more than just about anyone, has been wanting to read Dark Matter, which needs a complete rewrite before I would even consider it. And considering that it has been a couple of years since I wrote the original draft, I need to reread before I rewrite. So here’s the deal. I am going to try to read all 200,000 words of Dark Matter in a month. 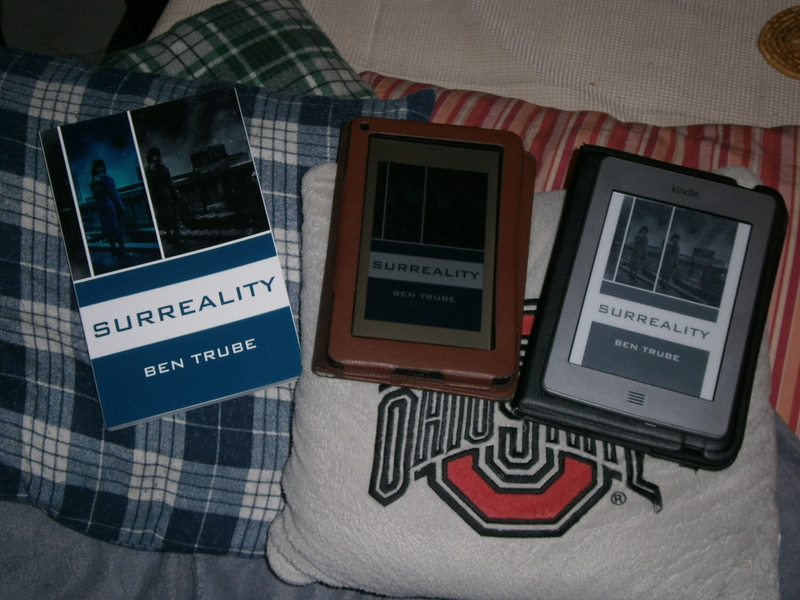 And maybe write 10-15K on Surreality 2 (don’t worry, not the actual title). That’s a long way from getting my book into Brian’s hands, but it’s a start. This is where my commute and a Kindle that can read to me are going to come in handy. I had this bat-crap crazy idea to write Dark Matter with no chapter breaks, with the idea that I’d add them in revision. This first read will be brutal. How are you using NaNo? When you’re writing, you’re writing. Seems simple enough, but here’s what it boils down to for me. Some people blog in place of working on their current “work in progress”. There are times where we think of writing as a finite energy that can only be applied to certain things. If I wrote a blog post today, then I didn’t write 500 words for my book. Writing in this model is like socializing for introverts. I may enjoy doing it, but I need a recharge and I’m only up for so much of it. As I’m getting older I’m becoming a much more introverted person, so I understand this idea pretty well. And sometimes I act like it with my writing, assuming that I need the same recharge period if I’ve done a burst of creative output that I would need after going to a party with a lot of people I don’t know. But I actually believe writing breaks the conservation of energy principle. Time is a finite resource, creativity isn’t. I have more to write about when I’ve been writing. Basically, this makes sense. One of the main topics of this blog is writing about writing and often thoughts for blog posts come from something I’ve been working on recently, a problem I’ve encountered, a new method I’m trying out. Other topics are fed much more by reading or listening to the radio, particularly the technology posts, but the desire to write them comes from … well … writing. This isn’t about the spark of an idea, it’s about the motivational energy it takes to turn that spark into something on paper. I’ve thought a lot about this energy as habit, as discipline, and that’s not incorrect. But I think it still misses the point. When you write consistently, you can reach a point where you are typing faster than even modern computers can keep up with, where you just want to keep going even if it means you’re going to be late. Where it feels like you don’t have enough time to get it all down, where you are literally itching to work on something and it distracts your mind from everything else. This is writing in the extroverted model. Spending time with other people energizes you. Writing energizes you. And not writing is draining, something you have to break through, a barrier you have to knock down. I’ve been feeling … well … blah the last couple of weeks. Nothing’s been wrong physically, and I’m not significantly more or less busy than life always is. I just haven’t felt like writing and I let that be enough of a reason not to do it. This happens from time to time, often after spending a lot of effort on writing. I tell myself it’s because I’m tired, but I’m not really. I have the same ideas I want to write down, the opinions, the scenes from books that won’t leave my head. I’m just not in the mood to translate them into words. Well, that’s just silly. Time to get back to work.